Born in New Orleans, raised on the isle of Bermuda with intermittent stays in urban Toronto, Colin Harper is not an easy youth to pin down geographically. 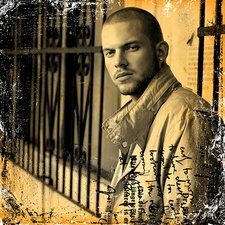 His musical alter ego Collie Buddz however, is one of the most firmly grounded voices you may ever encounter. Incorporating influences from hip-hop to soca, Collie’s music nevertheless has a rock-solid foundation in reggae - and its power to connect ghetto reality with the highest heights of human aspiration - that is a rarity even in Jamaica. The daily operation of trading lyrics in schoolyard clashes quickly gave way to more serious combat as “…people startin sayin ‘Ay, Buddz got some lyrics!’ From an early age, some of the local sounds on the island wanted to get me on dubplate,” says Collie, who stepped into the first of many vocal booths at age 16 to voice customized dubs for some Bermudian sounds. "Sounds was always trying to buss local artists in Bermuda.” Consistent encouragement from the various soundmen and engineers he encountered on those dub excursions led Collie to maintain a musical focus and eventually trek to Florida for a degree in audio engineering, a path that ended behind the boards of his own Bermudian studio, jointly run with his older brother (Smokey) and Sneek Success from one of Bermuda's founding sounds, 'Newclear Weapon'. Building riddims for other artists only expanded his love for writing and voicing his own lyrics however. “I used to make these beats an’ none of the tunes came out how I pictured an artist sittin’ on de riddim, so I decided to start to get in the booth myself again and spit some lyrics. Unless my brother engineerin’ for me, I’m runnin from the board to the booth, back to the board!” Like boot camp for a one-man army, that experience molded the signature vocal style that defines Collie Buddz - a songwriter who can lay his own riddim, sing the hook and chat on the verse. “I build de riddim first and while I’m building it I don’t try an’ think about lyrics ‘cause I'm tryin' to focus on the riddim, yunno? I make it sound as best I can and then for a day or two I rest my ears then start de writing process. I come up wif a melody firs’ and get that down, then start with the lyrics.” The skill with which he compartmentalizes multiple roles in the studio also extends to his easy movement between styles. A falsetto that combines the singsong lover’s rock appeal of a carnival crooner like Rupee with the deeper emotional catch of Bob Marley or Sizzla, Collie’s voice sits with equal comfort over the jump-up pace of ragga-soca, 4/4 hip-hop beats or an achingly slow one drop. Most strikingly on tunes like “My Everything” he finds both the drive of dancehall and the bluesy edge of roots in a frenetic polyrhythm built around the Latin horns of David Bowie’s “Let’s Dance,” an up-tempo track that could be just as home in a Trinidad carnival as a UK discothèque. “Some tunes I create are just to show that I could do anything I put my mind to,” he explains “to show the versatility of my style.” For many artists such versatility can be a curse and only a select few can maintain a distinctive voice when so many styles come so easy. But on tracks like “Moving On,” the layers of competing influences seem less like contradictions and more like necessary stages in the development of a larger persona, something like the succession of roles from pimp, to preacher, to something like a revolutionary that formed Malcolm X. Instead of pulling the song apart, the warring elements are all somehow essential to a larger vision reflected in his lyrics: “Feel like me cyan move an’ trap in a cage / still searchin’ for the words to put ‘pon the page…” It’s that discovery of timeless roots even within the sweatiest dancehall track that marks the culmination of Collie’s growth.